So, back to the Blood of Jesus. Why pray or plead the Blood of Jesus? Because there is Power in the Blood. The Blood of Jesus provides health, healing, and salvation. 1. Gives protection before adversity strikes. It serves as prevention. 2. Gives physical healing in the body. No matter what name is given to any problem, it will be solved, when the Blood of Jesus is brought in. 5. Helps in battling dark powers. 6. Helps in battling the adversary. 8. Cleanses from all sins. Jesus came to die for the sins of the world and His Blood was shed for us. You can claim the cleansing power in His Blood and God will open a new chapter in your life. It will never lose its power. Plead the BLOOD OF JESUS over your body, your family, your home, your finances, your church, anywhere you need healing. Posted in Music, Spirituality, The Blood of Jesus, Uncategorized, Videos and tagged blood, Blood of Christ, Blood of Jesus, Calvary, Christ, christianity, Deliverance, freedom, God, healing, Jesus, The blood of Jesus, The Blood Will Never Lose It's Power. Bookmark the permalink. 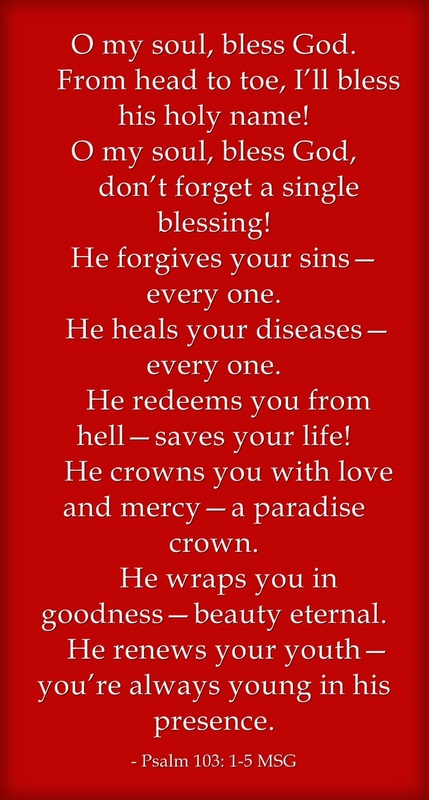 Jesus’ blood never fails me yet, never fails me yet, never fails me yet….